The BBC has a story this week about a police raid on a man firing a shotgun that led to his death. Unfortunately, in the United States, that is all too common a story. However, there was one fact in the story that stood out: this was the first such killing by police in the recorded history of Iceland. I am not sure how to verify this fact but even if it were only the 100th in history it would astonishing. The shooting took place in the east of Reykjavik when police responded to a man firing a shotgun in his apartment. When police arrived, he refused to surrender and led police to fire repeated canisters of tear gas into the apartment. However, the 59-year-old refused to give up, refused to speak with police, and then fired at police entering the apartment. Two members of the special forces were injured by his shotgun, including one in the face. Icelandic police chief Haraldur Johannessen immediately went public with his sympathy for the shooter’s family: “Police regret this incident and would like to extend their condolences to the family of the man.” Police officers were given counseling to deal with shock and grief. Iceland has one of the lowest crime rates in the world but that does not explain the virtual absence of fatalities from police shootings. We have often discussed the concern that lethal force is used in the United States in too many circumstances and, in some cases, with relatively minor threats. (here and here and here and here and here). The Icelandic police clearly view lethal force as an absolutely final measure. One must assume that they have faced the same type of cases with people wielding scissors or knives, but somehow avoided simply shooting the culprits. This is not to say that many officers in this country do not follow the same admirable restraint — we have seen such admirable cases. However, the cases that we discuss on this blog remain troubling in comparison. America is a barbaric nation. Personally I support the NRA: its all we have between big government & the second amendment; lose it & you may see martial law both here & in Europe. However, the NRA would be advised to drop some of their vigorous ‘no quarter’ stance on background checks. @Svoogle: That are actually only the shots fired at people or warning shots (result 6 death, 15 wounded), There are an additional 8821 shots fired at “objects or animals,” most of these are coup de grace shots for game which was injured due to car traffic. And let’s not kid ourselves: there *is* police brutality in Germany and the concept of racial profiling has only recently come under official scrutiny. Germany isn’t some kind of paradise (although some things are different, for example the Henry Gates thing would have played out differently in Germany — Citizenship and social status trump skin color over here). But you’re right: the use of deadly force (and stuff like tasers too) is different. There are probably quite a few reasons for that. The different recruiting and training methods and practices are probably one, but of course also the fact that there are less ‘loose’ firearms (there are actually quite a lot of firearms in private hands in Germany, but because they’re so heavily regulated the legal ones are all sitting in safes) which means that the cops don’t fear citizens the way US officers seem to do sometimes. The police force you get tells you who really runs the city and what values they want the city to reflect. 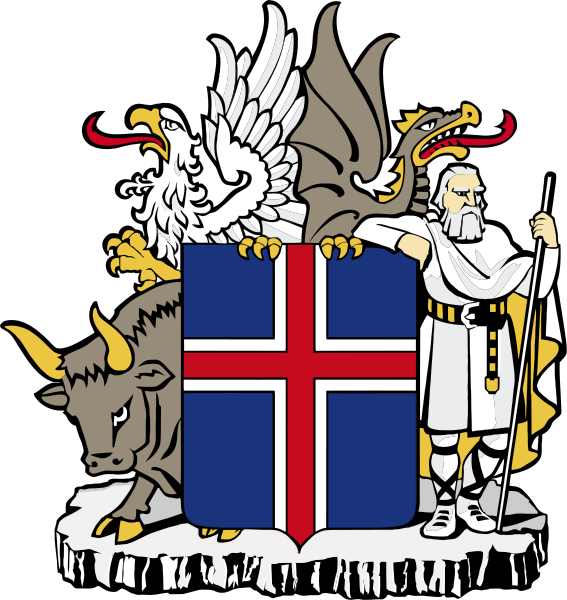 population of Iceland 322,000, 90,000 registered guns in Iceland, 1 registered gun for every 3 and1/2 people, It must not be the guns causing the lack of crime. Always cute when Americans get a glimpse of “life in a civilized country” and then wonder what is going on over there. Germany’s entire police force fired 85 bullets in 2011, 49 of which were warning shots. And yes, of course every single bullet handed to a police office in Germany is accounted for. all these things are part of a concept called “civilization”. a concept Americans seem to move away from rather rapidly. at least we will have quite a show on live TV when your country descends into total violence and chaos. the only person the NRA hasn’t suggested should have been armed is trevon martin. When you have a country that is armed to the teeth, carrying weapons in the belt, protected by idiotic interpretations of words written hundreds of years ago, and supported by the NRA, one of the most notorious opponents of democracy, well, what do you expect in the good old USA? We are training well….. Even in South America …. After reading countless articles telling of US police shooting dead or tasering dead unarmed citizens I have come to the conclusion that US police are terrified cowards and their resort to deadly force is on a hair trigger. Part of this may be due to the number of them who have returned from Americas imperial wars and their willingness to resort to firearms is appropriate to a war zone but not to the job of civilian police. Either former active duty soldiers should be banned from carrying weapons if they serve as police or they should undergo training to reset their mayhem trigger levels to values appropriate for police work. I say we have LEO’s from Iceland train our police rather than military warriors. resolve a dangerous issue so that there are not fatalities…. IN the USA, they tend to be in a BIT more of a hurry and want the situation to end NOW…. there is no talking it down…. less worried about being shot by just any Jonas Shmoe…. The mind set of the people is so extremely different. can make a huge difference…..
How many dogs do Icelandic police shoot in a year? I bet the number is far fewer than in the US, where dog shooting, rare in my youth, seems to be SOP for many police agencies even in cases where there is no obvious threat from the animal. This is an issue that stems not only from police training, but from the underlying police subculture. Maybe send our police to their academy….